From the million-copy-selling author of The Roman Mysteries comes the third whip-cracking adventure in this award-winning series. When P.K. is suddenly abducted, he fears he's going to be thrown in the river to drown. In fact, he's about to get a new case. He must travel to Carson City, don a disguise and shadow his friend and mentor, Poker Face Jace. But Jace isn't easy to fool, P.K. 's widow woman disguise is horribly uncomfortable and, as if that's not bad enough, it seems somebody might be trying to kill him! Can P.K. 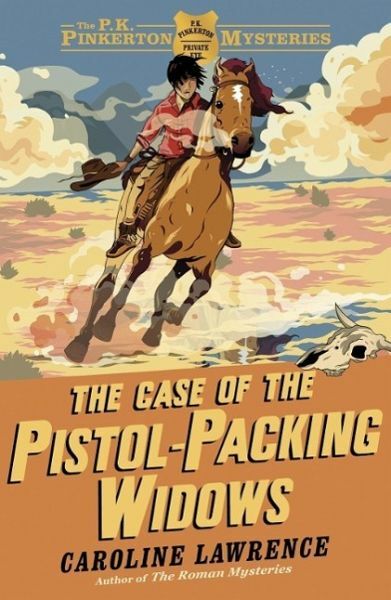 survive amid the gun-slingers, gamblers and desperados of Carson City?